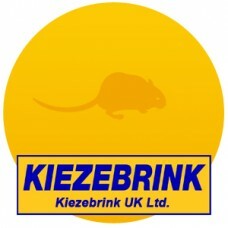 Here at Kiezebrink, we offer a large selection of frozen rodents. Our frozen rodents are bred ethically and gassed on a human manner. Rodents, such as guinea pigs, gerbils, and hamsters are full of proteins and minerals. This makes it a great food source for your snake or other reptiles. Obviously, we only offer frozen pre-killed rodents so they cannot harm your snake or other reptile and the prey does not have to suffer. At Kiezebrink, you can find rodents from £0.80. 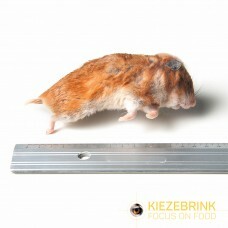 One of the frozen rodents we offer at Kiezebrink are hamsters. In general, we have hamsters in three different sizes: small, regular, and large. Depending on the size of your reptile and their specific diet you can make an easy choice. We have a large selection of frozen guinea pigs, suitable for larger snakes and other reptiles. In our selection, we have several sizes of guinea pigs: from mini till extra large. We only offer gerbils of the best quality. Quickly frozen for freshness and disease free. Gerbils vary in our selection from mini till large. Looking for frozen mice or frozen rats for your snake or reptile? We have a large selection with different kinds and sizes for those as well. Take a look and order now! Frozen Large Hamster which weigh 60gms+Delivered frozen to your door. This is a raw product and.. Frozen Regular Hamster which weigh 30gms to 60gms.Delivered frozen to your door. This is a raw produ.. Frozen Small Hamsters which weigh up to 30gms.Delivered frozen to your door. This is a raw product a.. Frozen Baby Guinea Pigs also known as Mini Guinea Pig, weighing less than 200gm.Delivered frozen to .. Frozen Small Guinea Pig, up to 300gmDelivered frozen to your door. This is a raw product and not for.. Frozen Regular Guinea Pig 300gm - 600gmDelivered frozen to your door. This is a raw product and not .. Frozen Large Guinea Pig Which weigh 600- 900gmsDelivered frozen to your door. This is a raw product .. Frozen Extra Large Guinea Pig 900gm Plus.Delivered frozen to your door. This is a raw prod.. Frozen Large Gerbils which weigh above 30gm + Each.Delivered frozen to your door. Thi.. 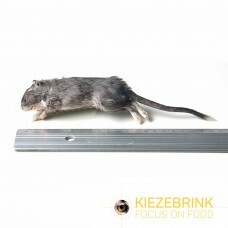 Frozen Small Gerbils which weigh between 10gm - 30gm and are to be used as animal food. .. Frozen regular multimammate mice (Mastomys natalensis) weigh about 30gm each. Sold as a pack of..